Situated in Alappuzha, this hotel is within 6 mi (10 km) of Alappuzha Beach, Alleppey Lighthouse, and Vembanad Lake. Marari Beach is 12.1 mi (19.5 km) away. Along with a restaurant, this smoke-free hotel has an outdoor pool and a health club. WiFi in public areas is free. Other amenities include a bar/lounge, a coffee shop/café, and valet parking. All 32 rooms offer free WiFi, 24-hour room service, and TVs with cable channels. Minibars, coffee makers, and free newspapers are among the other amenities available to guests. Citrus Retreats Alleppey features an outdoor pool and a health club. The hotel offers a restaurant and a coffee shop/café. A bar/lounge is on site where guests can unwind with a drink. Wireless Internet access is complimentary. Business-related amenities at this 3.5-star property consist of a business center and a meeting room. This business-friendly hotel also offers spa services, an arcade/game room, and complimentary newspapers in the lobby. For a surcharge, the property provides a roundtrip airport shuttle (available 24 hours) and an area shuttle. Onsite parking is available (surcharge). 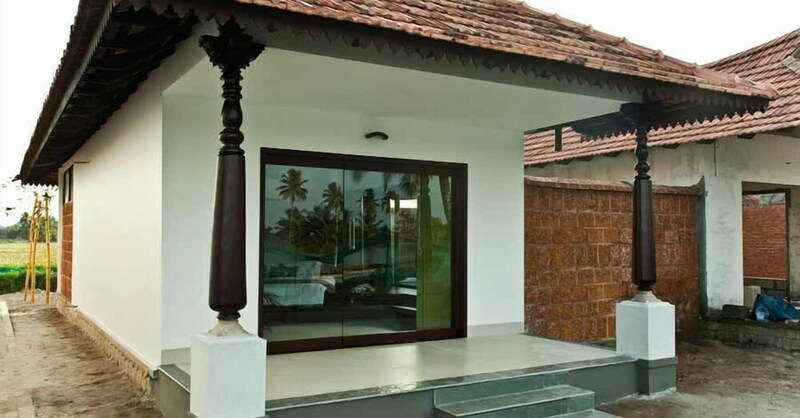 Citrus Retreats Alleppey is a smoke-free property. Breakfast is available for a surcharge and served each morning between 7:30 AM and 11 AM. Citrus Retreats Alleppey has a restaurant on site. A fee for a mandatory Christmas Eve gala dinner is included in the total price displayed for stays on 24 December. A fee for a mandatory New Year's Eve gala dinner is included in the total price displayed for stays on 31 December. Book a stay in a "Deluxe Paddy View Room with Spa" or "Deluxe Lake View Room with Spa" room category, for travel anytime, and receive a complimentary shoulder or foot massage. Must book a stay in a "Deluxe Paddy View Room with Spa" or "Deluxe Lake View Room with Spa" room category to receive benefits. Full details provided at check-in. Spa appointment may be required. Taxes and gratuity may not be included. No refunds for any unused portion of offer. Offer subject to availability. Offer is not valid with groups/conventions and may not be combined with other promotional offers. Other restrictions and blackout dates may apply.